We have had one of the wettest “Wet Seasons” this year and it has been a delight to see the land look so full of life. Not only have the birds arrived from other areas of Australia to breed, but many other creatures have been visible for those of us that are prepared to go bush-walking in extreme heat. 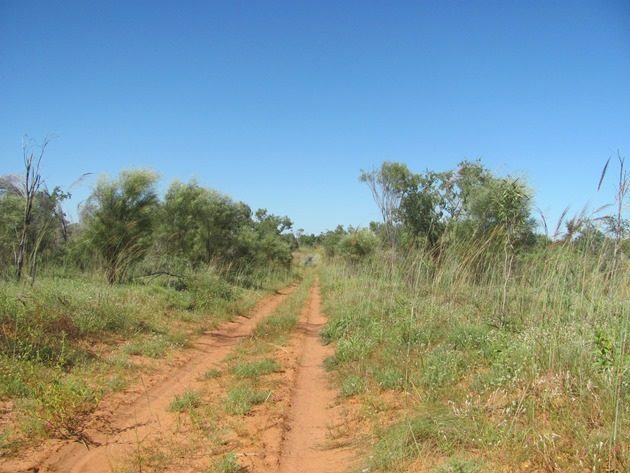 Most of the bush tracks that are usually accessible by four-wheel drive are still flooded, but can be accessed on foot and the ephemeral lakes have filled up this year. The track is sandy in sections as you can see above and then suddenly you discover a long wet patch which is flooded on both sides and it is always worth approaching these areas slowly. 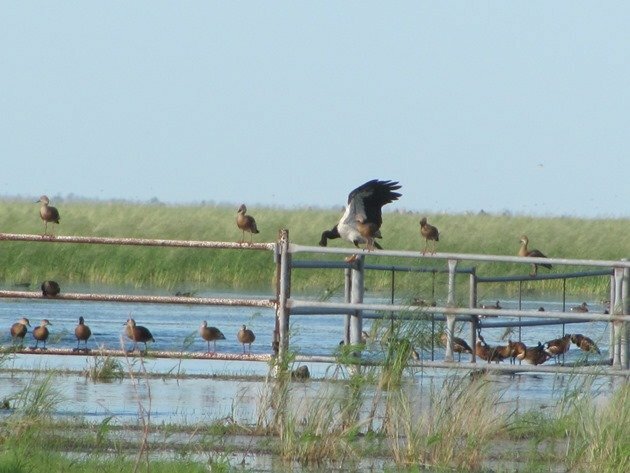 Plumed Whistling Ducks and Wandering Whistling Ducks have been nesting in these wet areas and our first pair of Green Pygmy-geese for 2017 were floating around on the track! 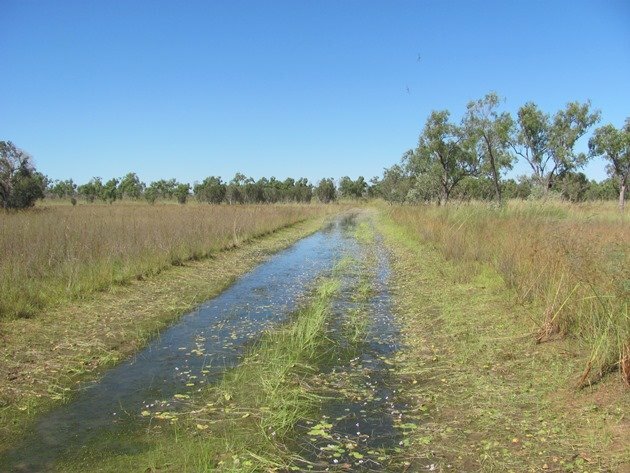 Australasian Grebes and Magpie-larks are often at these long shallow stretches of water along the track as well. Dragonflies have started to become a common sight and two made it into the blue sky of the photo below! 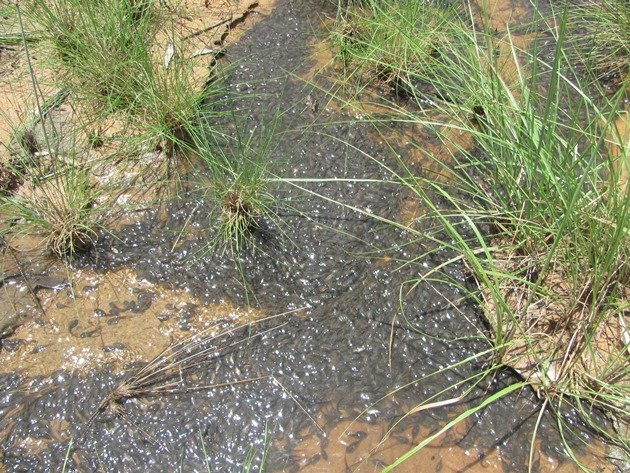 The land has been flooded for several months now and the native frogs have been very busy. 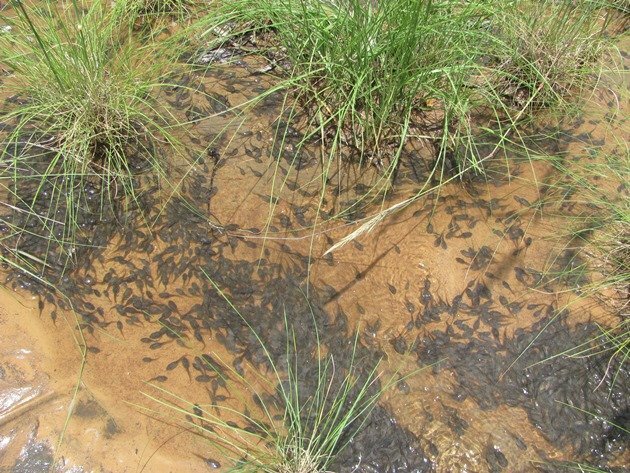 A few months ago we encountered huge numbers of tadpoles in the overflow areas and they have now become frogs, which are much harder to photograph! 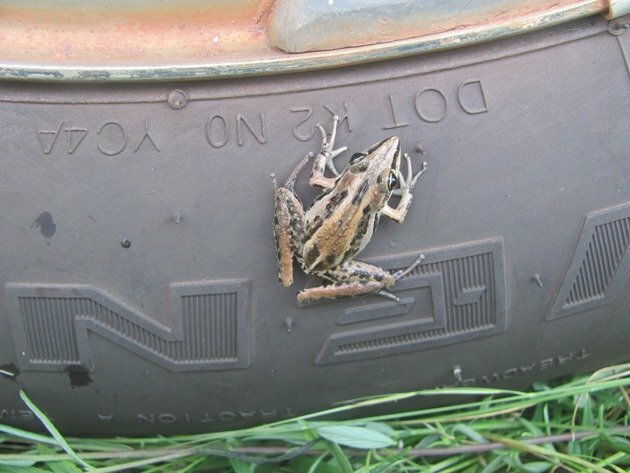 Thankfully a Striped Rocket Frog jumped onto our vehicle tyre recently offering a photo opportunity! 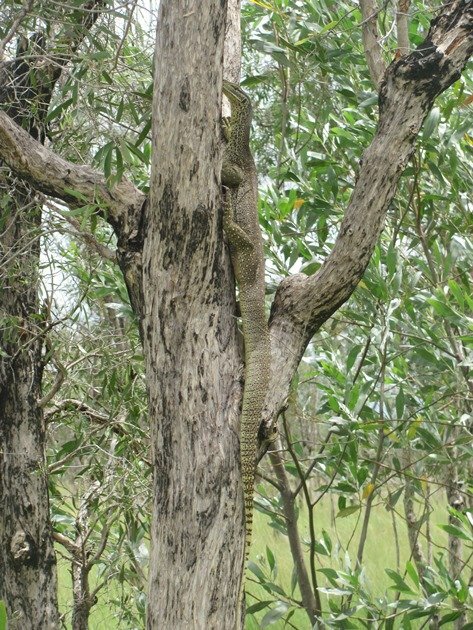 A big advantage of bush walking across the flooded land is that you may encounter other large creatures that you often miss when driving. A sudden splash alerted us to a large creature being present at an ephemeral lake recently and it was followed by another sound of a creature climbing a tree in front of us. 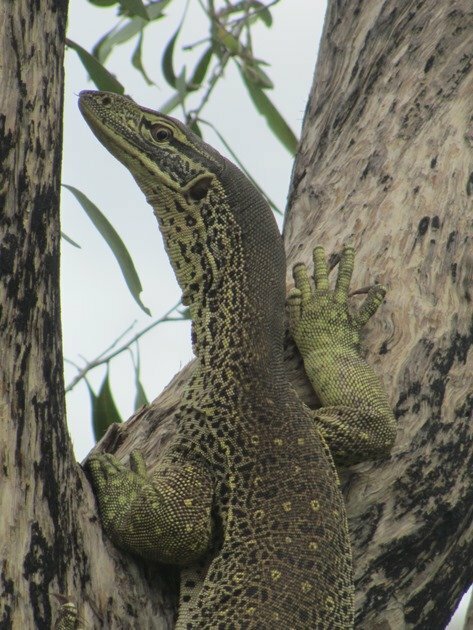 We had accidentally startled a pair of Yellow-spotted Monitors and thankfully the one that climbed the tree was content to watch us without climbing too high. 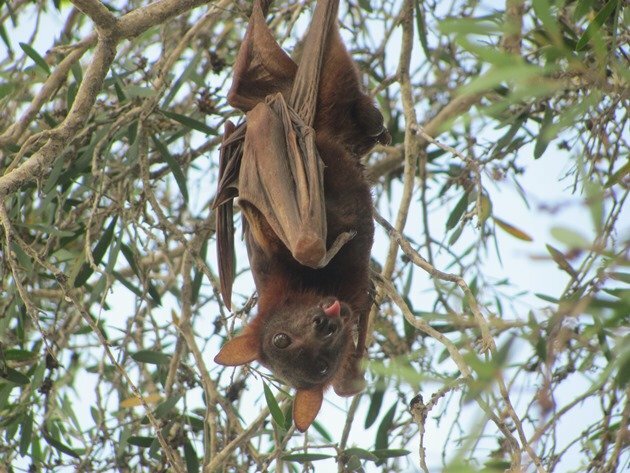 Often when looking in trees for birds you come across other creatures and the presence of native flying foxes at these ephemeral lakes is not a common occurrence, but we encountered several roosting recently. They were just hanging upside down dozing in the daylight hours, but one had an opinion on my photographing it! 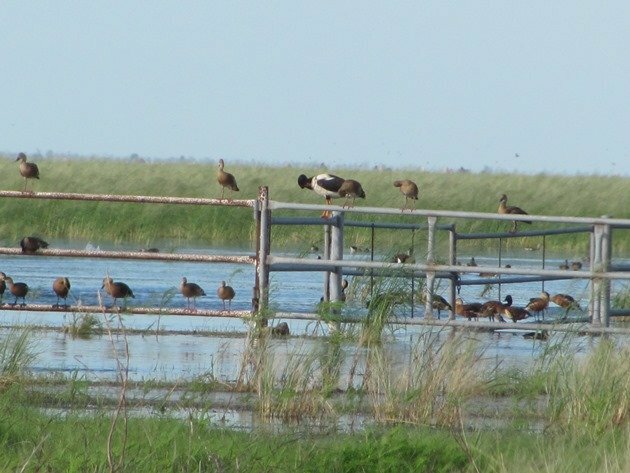 The birds gathered along the main highway during the worst of the floods and Magpie Geese arrived and bred in large numbers. 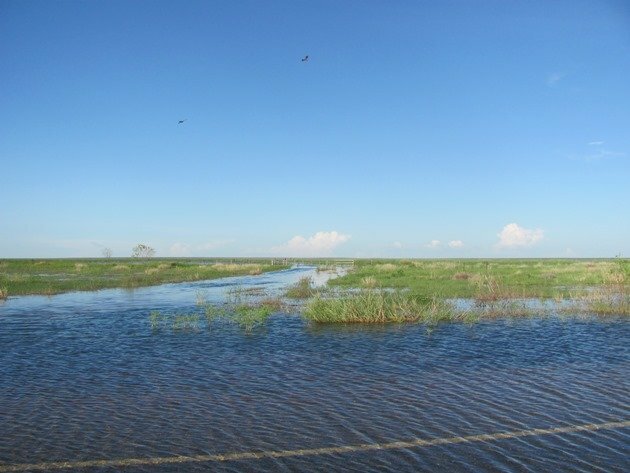 Driving along the main highway meant driving through water for many weeks and the access to the local station property was completely flooded. The water is now slowly draining away and evaporating and the birds are moving their young to where the lakes will remain in coming months. It got to a stage that there were birds sitting on the station access gate due to the fact there was nowhere else dry other than sections of the road! The Magpie Geese were amusing to watch as they tried to balance on the fences and gates. Pink-eared Ducks returned to the area and we observed a pair of Baillon’s Crake swimming around beside the highway. The local Yawuru people have six seasons for Broome and we are just entering the season called Marrul. 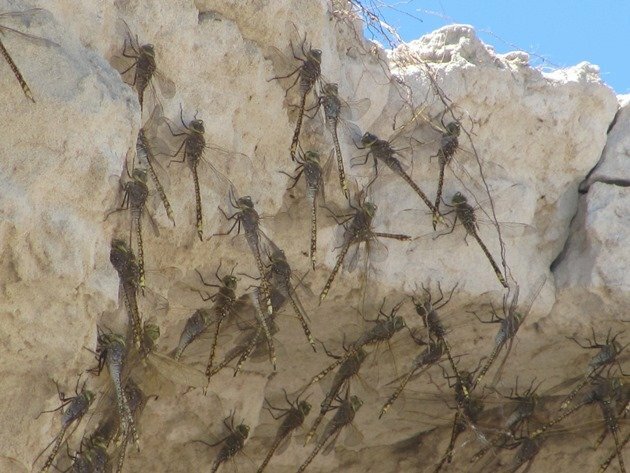 This season sees a change in the winds and a drop in humidity and in particular the arrival of thousands of dragonflies. This has all happened in the past week and we feel like the season is changing right now. 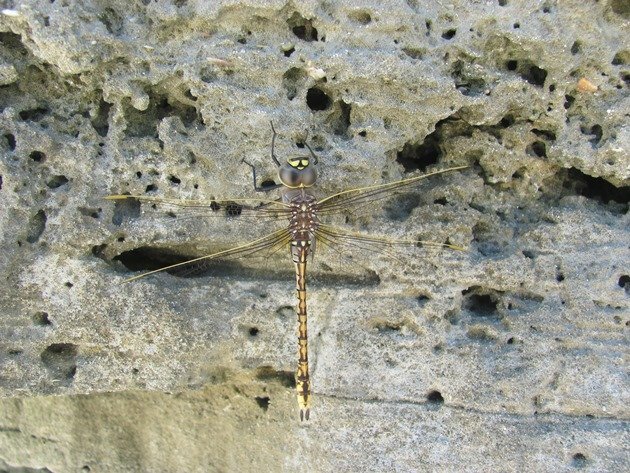 Dragonflies are now all around us and vary in colour and size and are particularly common around sunset and quite incredible to observe. On the northern end of Cable Beach this week there have been hundreds of the larger varieties resting on the sandstone cliffs. We all look forward to this time of year when the mornings become cooler and the last of the Dollarbirds depart. The shorebirds are well on their way to the northern hemisphere now and soon our local Pied Oystercatchers will be breeding once again. Red-capped Plovers have been breeding inland and along the coast and are opportunistic and will continue to breed while the conditions are good. Of course this all means it is once again perfect camping weather! Dive boots are the way to go! Often knee deep! Everything moves to higher ground even if it is a fence post! What an amazing place! Not just the birds, but all the other animals. 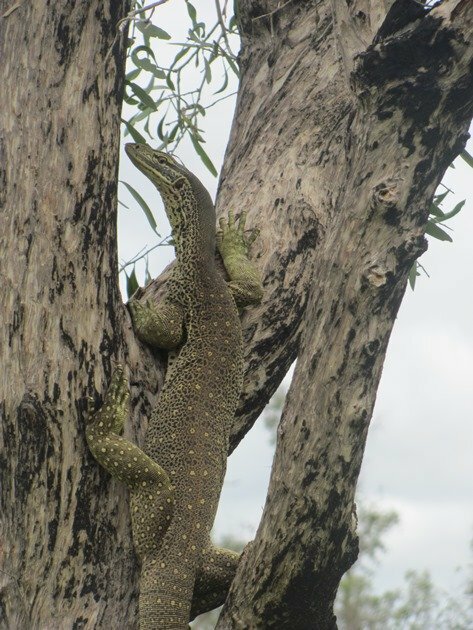 I love your photos of the Yellow-spotted Monitor and everything else!